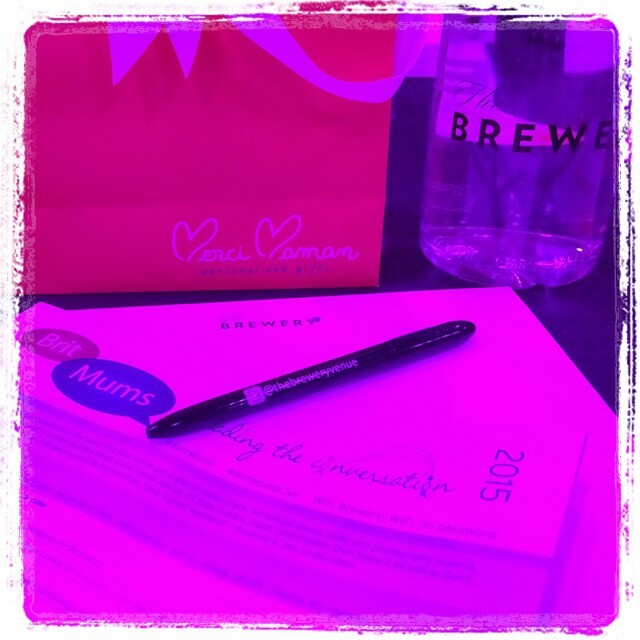 Yes, you've guessed it, I attended Britmums Live 2015! It was my third time at the two day blogging conference and I believe it was the most relaxed experience of the three, that may have been down to experience or it may have been the lovely people I spent my time with. I was able to attend the conference thanks to sponsorship from the voucher codes and deals site, Oony, who want to help you spend less on your everyday shopping, please do pop over and check them out! 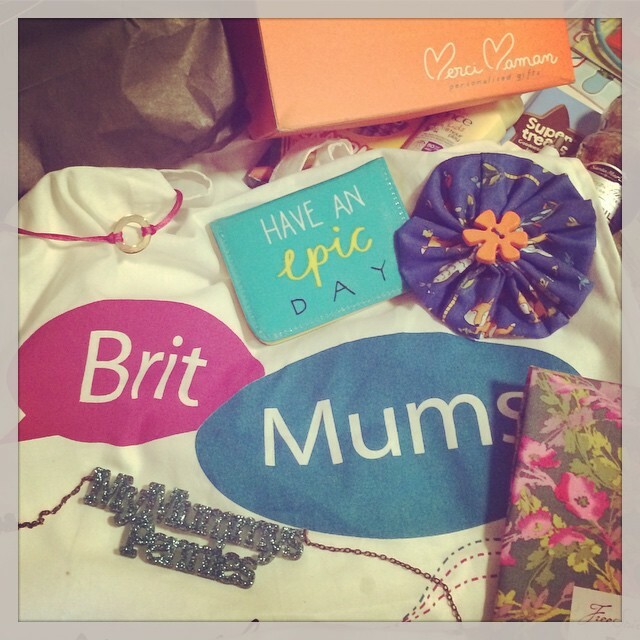 Britmumslive is about learning, networking, celebrating and being inspired, but most of all it's about community. We celebrate members of our blogging community through the Brilliance in Blogging Awards (BiBs), we learn from other bloggers in sessions, we catch up with online friends and make brand new ones and we support other members of our community when they stand on stage and open their hearts to us. I traveled down to London with some of my closest blogging friends; Jenny, Colette, Pippa and her three and a half week old baby, the gorgeous Little E. Despite having a tiny baby with us and Jenny having had major surgery just two weeks before, it was a chilled out journey and we arrived at The Brewery rather calm and collected, ready for another year of Britmums fun! The event opened with an introduction from the founders, Jen and Susanna which was followed up by the first keynote from Ella Woodward aka Deliciously Ella, I was inspired by Ella's story of how her blog had grown out of being diagnosed with Postural Tachycardia Syndrome and wanting to change her lifestyle and eating habits. In three years she has gone from a woman whose life was ruled by a chronic illness to a bestselling author and one of the UK's most popular bloggers. We were then presented with an inspirational short from the very lovely Victoria Wright, who told us her story of overcoming bullying to become a prominent disability and disfigurement rights campaigner and how she fears stepping back into the playground when her own daughter starts school very soon. Most Mummies wrapped in toilet roll in 3 minutes! Hmmm... Luckily I got away not being wrapped myself, but I got busy wrapping the leg and body of a fellow blogger... it was a rather intimate way of being introduced but it certainly succeeded in breaking the ice! I'm sure you're all eager to find out if we did it and I can reveal that we did break the official Guinness world record and between around 600 bloggers managed to get 51 Mummies completely wrapped in loo roll in just 3 minutes! There was even a certificate to prove it. After all that paper was collected to be recycled, we had a coffee break and a chance to catch up with friends before the first sessions began. I really enjoyed the Shouting Back: Women’s voices loud, proud and online talk with Eleanor Mills from The Sunday Times, Janet Convery from Action Aid UK and Katy Hill; Blogger, TV presenter and Mum of two. We heard stories of how women's voices in the media made a difference and helped to highlight issues that a male dominated industry rarely took notice of. Katy told us of how a simple tweet she put out about the ridiculous expectations of new mothers to start to get back in to shape after giving birth went viral and led to her being on TV chat shows around the world. Janet told us emotional stories filled with strength and bravery about women around the world who had escaped violence and FGM. Action Aid have just launched their #Fearless campaign encouraging women to stand up and speak out against violence. You can stand with them and sign the petition here. 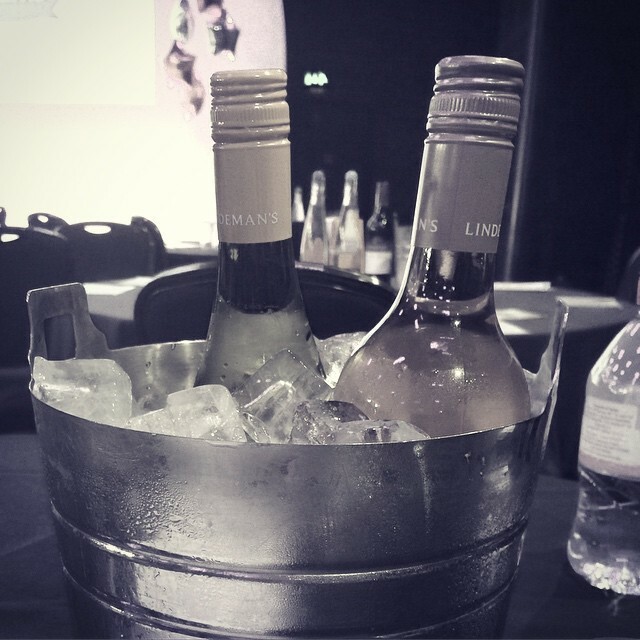 Feeling empowered as a woman I then enjoyed a glass of wine and celebrated with my fellow bloggers at the Brilliance in Blogging (BiBs) awards presented by Carole Smillie. Soon it was day two and we were back at the Brewery to listen to Carol again, this time she was talking about herself and how she had taken the leap from iconic TV presenter to starting her own business with friend and tennis champion Annabel Croft. She regaled us with tales about her family and why she wanted to create a product such as Diary Doll, she talked pants and periods, incontinence and embarrassments and really made us chuckle. I saw a really different and down to earth side to a woman whose face had been appearing on TV screens since I was a small child. I attended a few sessions on Saturday, mainly those focused on social media, including; Social Media Optimisation, Social media for advanced people and How to be a social media manager. 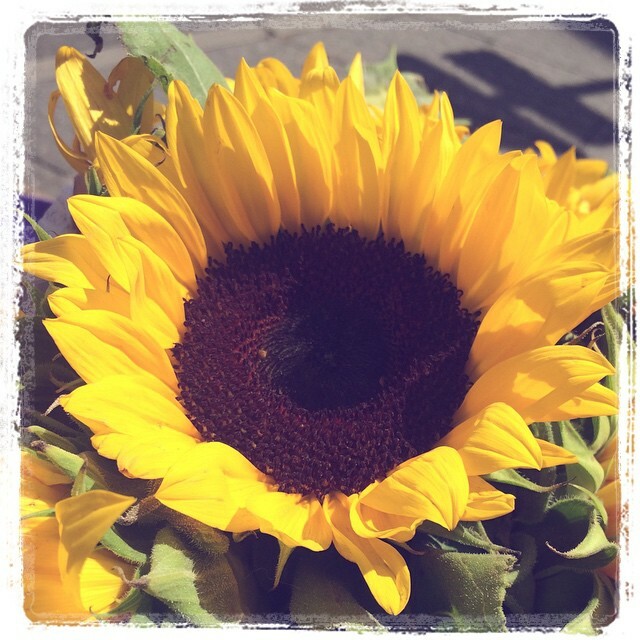 I heard some great tips especially centered around the social media channels that I use less often such as Pinterest and I even discovered a new platform i'd never heard of! The overriding message seemed to be 'curate content rather than using your social channels just for your own links', this is something I've been advocating for years so I'm really pleased it has now become the accepted way to make use of platforms like facebook pages. I also attended Breaking Boundaries with Insight and Passion with Kate Hardcastle, whom I found to be really interesting to listen to. She is a mum herself and a big supporter of women in business , but is much more used to talking to huge halls full of businessmen from around the world, rather than a small room of bloggers. Although very direct, her advice rang true, and I will certainly be bearing her suggestion to 'sell your idea to your harshest critic before investing money and time in it' in mind. I was impressed to hear of her charity work and that all her employees get to give 20% of their working week back to a charity of their choice. 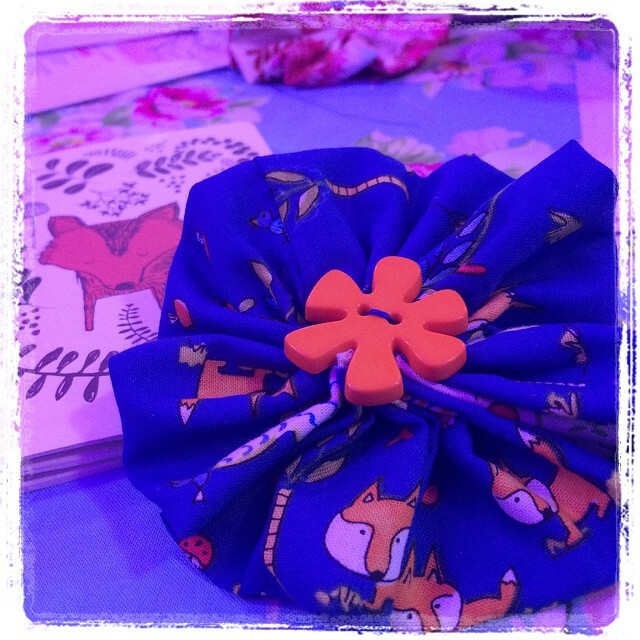 In between sessions I chatted to brands in the den including Merci Maman Gifts, Joules, Parragon, Santa Maria and Real Times and I popped into the craft lounge where I made a corsage with some adorable fox themed fabric with help from the lovely ladies from Lady Sew and Sew! The end was drawing near, as was the most important part of the event to me, the Bloggers Keynotes. First though, we had the celeb keynote from Model turned Entrepreneur and mother; Caprice. I have to admit by that stage my focus was on my friend Jenny, sitting two seats down from me and about to read out a very emotional blog post as one of the blogger keynotes, so I may have missed the point, but I really failed to see one at all. There seemed to be a contrast to the Keynote speakers from previous years who had me crying with laughter or welled up with emotion and in awe at their bravery and resilience, Instead we had a multi millionaire model who said she was in the same boat as all of us. Somehow I doubt that. For myself and many of the group of friends I stayed with, the weekend was centered around one thing, and that was our friend Jenny reading out a very moving post she wrote to her daughter Elspeth after she passed away last year. 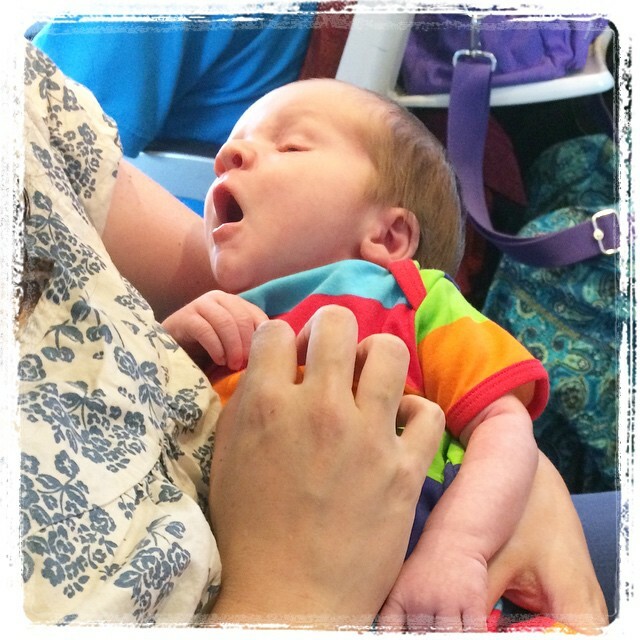 It had been a difficult journey getting to Britmums for her, as due to multiple cancelled operations, Jenny had major abdominal surgery just two weeks before. However she made it, she walked up on stage with Pippa and she got through it, I was so proud of her and know that Elspeth would have been too. There was not a dry eye in the room and every single person stood up at the end. There were 12 other blogger keynotes, some amusing, some entertaining and some extremely moving, everyone that stood on that stage and read was amazing but my focus was on my friend. I was given Little E to hold while his Mummy supported Jenny on stage ready to take over if she could not continue, I was grateful for his warmth and softness as I held him close and listened to a mother's heart breaking all over again. In the brand den, there was a beautiful cart of flowers from sponsored by Lindemans, including the biggest and brightest sunflowers I'd ever seen, it seemed to be fate so a few of us shared Jenny's story with the lovely lady from The Velvet Daisy who made up a gorgeous display of Sunflowers which we placed on our table as Jenny returned from the stage. Lovely to spend the weekend with you.